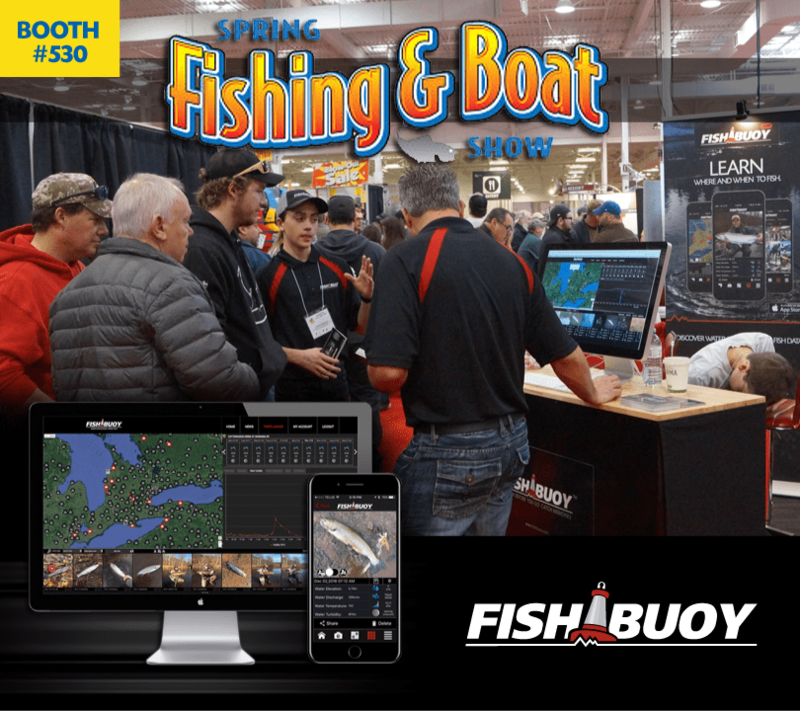 The Spring Fishing and Boat Show, held in Toronto, Ontario, Canada is an extremely popular tradeshow that draws in thousands of anglers, retailers, manufactures and service providers from across the Great Lakes region. 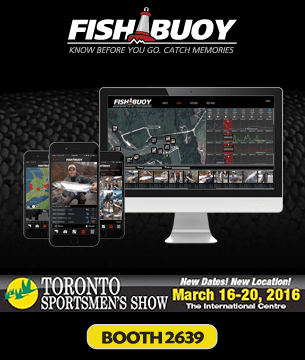 FISHBUOY is pleased to be exhibiting (Booth #530) and will provide live demo's of FISHBUOY TripPlanner and FISHBUOY Mobile. 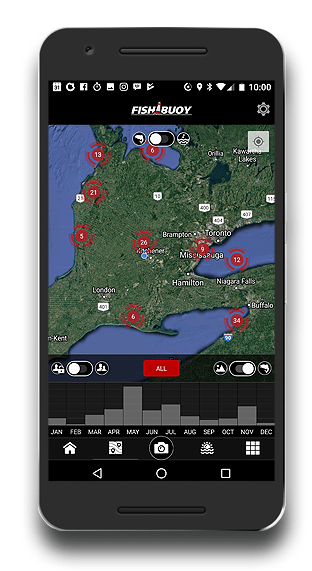 Kitchener Waterloo, December 2016, FISHBUOYTM , a software platform designed to help freshwater fishermen predict when and where to fish, was one of eight companies selected, among numerous applicants, to receive $50,000 in funding to support advancement in FISHBUOY technology and use of open government data. 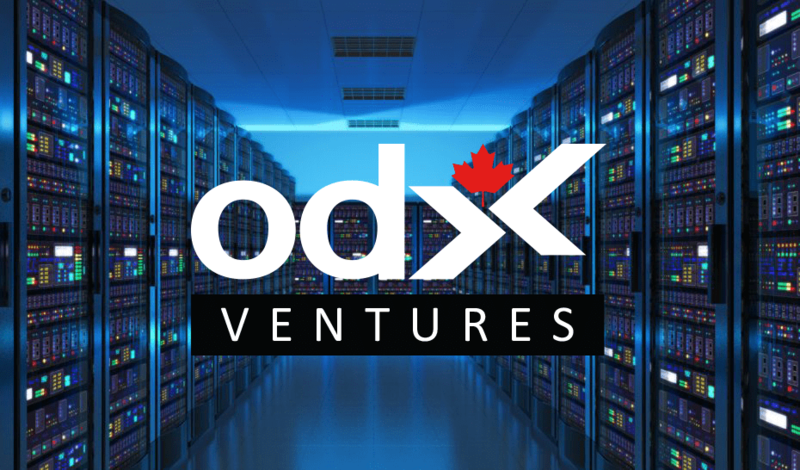 "ODX Ventures and it's mandate to help companies access open data for the benefit of Canadians is right down our alley. FISHBUOY shares a similar mandate, but instead of connecting people to data, we provide a comprehensive solution that integrates real-time and forecasted environmental data to help fishermen identify trends in fish feeding behaviour. 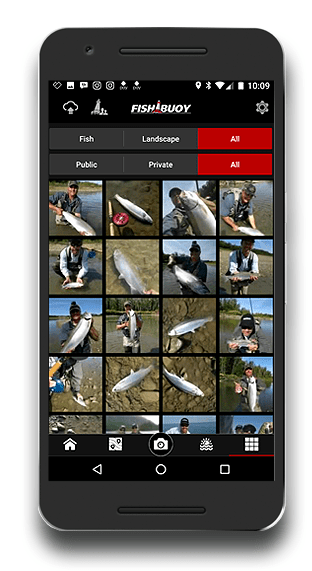 Through an online dashboard (FISHBUOY TripPlanner) and mobile app (FISHBUOY Mobile), FISHBUOY transforms user fish-catch data and open data sources into interactive maps, graphs, photo galleries and analytical dashboards to make the process of learning and finding fish easy." 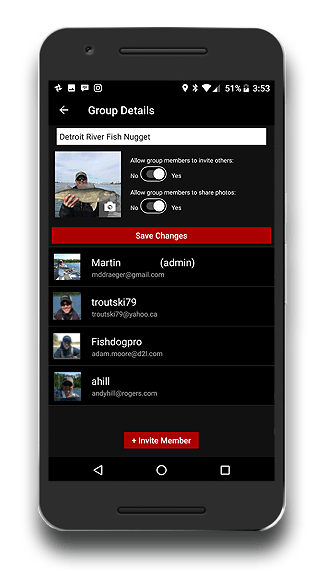 FISHBUOY is a Canadian-based start-up focused on providing fishermen, fisheries agencies, retailers, and lodges with practical, science-based software solutions to improve fishing success on the water, support fisheries management, and bring the right products to fishermen. 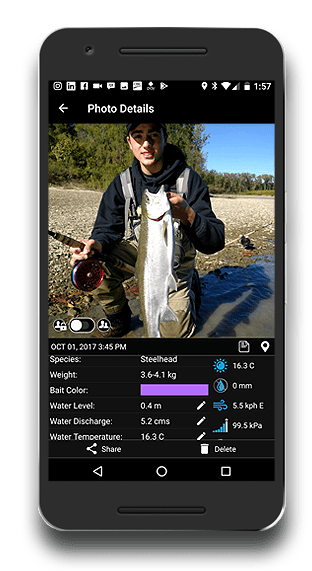 Through years of experience in freshwater sports fishing, numerical modeling, environmental data management and geo-statistical data analysis, FISHBUOY has adapted traditional techniques to benefit fishermen. 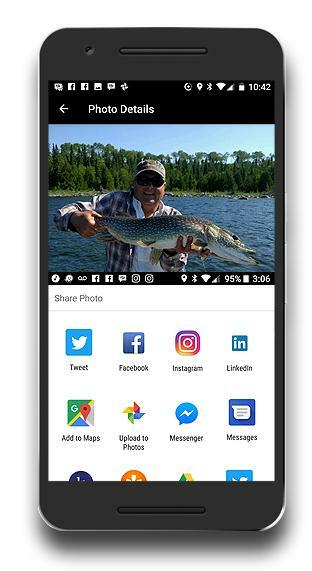 Today, FISHBUOY continues to evolve spatial, temporal and bio-analysis technologies used to improve fishing success within mobile applications, BIG-data networks, social networks and community-driven models. Kitchener Waterloo, November 2016, FISHBUOYTM was selected among other high-tech companies in the Kitchener-Waterloo region to be showcased in the 2016 Technology Spotlight. 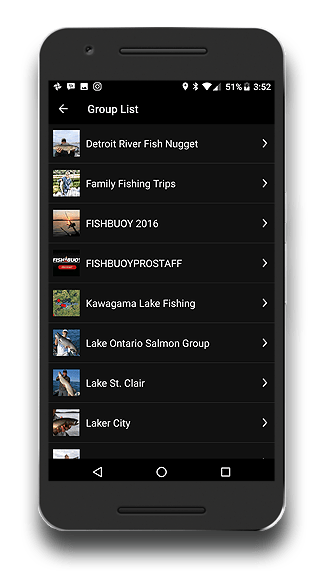 Technology Spotlight is published by the Waterloo Region Record, a division of Metroland Media Group Ltd.
Toronto, February 2016, FISHBUOYTM App and FISHBUOYTM Online will be launched at the well-known Toronto Sportsman Show during March 16-20, 2016. 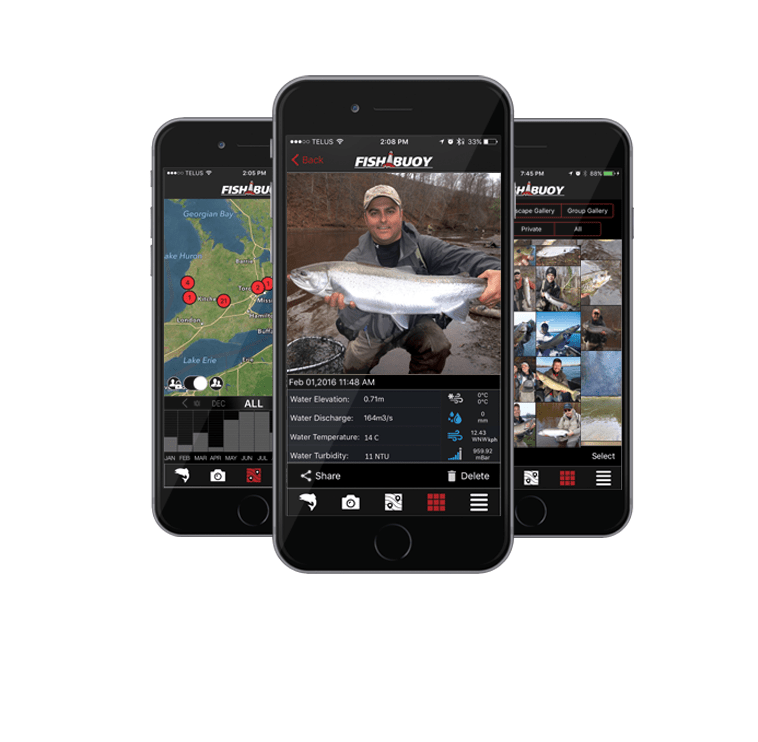 FISHBUOY is a new software solution to hit the market and is designed with innovative and easy-to-use features to help novice and expert fishermen identify the best times and locations to fish across North America. 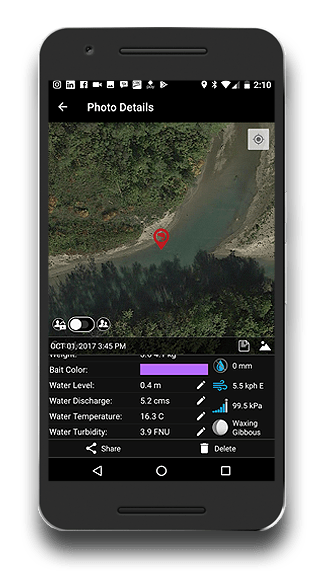 FISHBUOY uses a physical and biological-based approach to identify water bodies with the highest potential for fishing success using the proprietary Fishing Success Index (FSI). 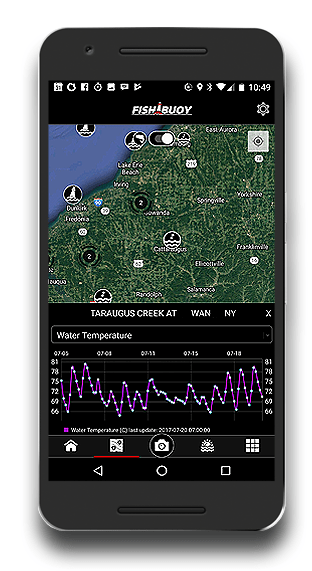 Through capturing real-time water and weather data from over 15,000 monitoring stations, FISHBUOY gives fishermen the edge by helping them align their tactics to local fishing conditions. 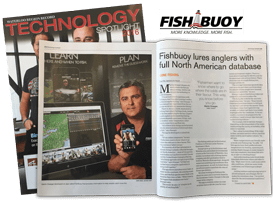 FISHBUOY is a Canadian-based start-up focused on providing fishermen with practical, science-based software solutions that minimize uncertainties and optimize fishing success. 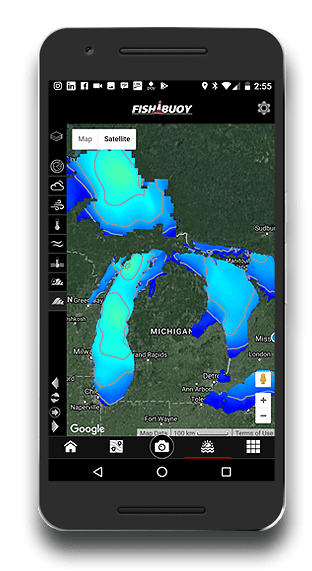 Through years of experience in freshwater sports fishing, numerical modeling, environmental data management and geo-statistical data analysis, FISHBUOY has adapted traditional techniques to benefit fishermen. 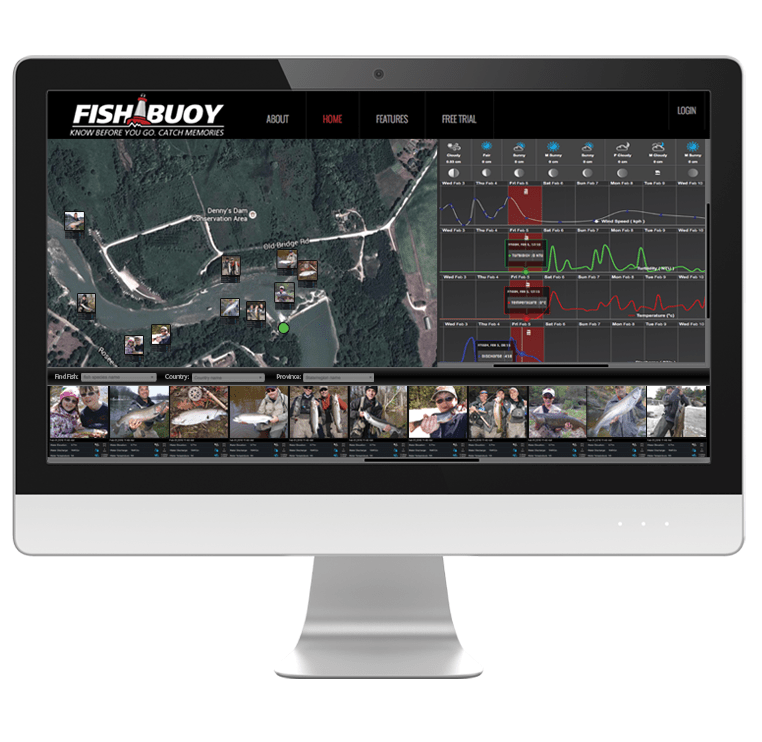 Today, FISHBUOY continues to evolve spatial, temporal and bio-analysis technologies used to improve fishing success within mobile applications, BIG-data networks, social networks and community-driven models. Waterloo, December 10, 2015, Accelerator Center annouces 26 Companies to receive funding and mentorship to grow their businesses. 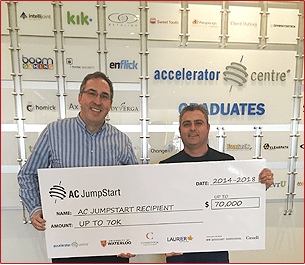 The Accelerator Centre was pleased to announce the third cohort of the AC JumpStart program. 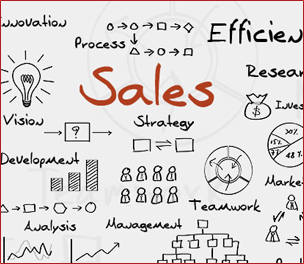 26 companies, including FISHBUOY, were selected to participate in the program, which provides funding and mentorship aimed at growing their business and accelerating their sales. Learn more about the AC Jumpstart Progam, click here. Funded through an $8 million commitment from the Federal Economic Development Agency for Southern Ontario (FedDev Ontario), the AC JumpStart program is delivered in partnership with Conestoga College, Wilfrid Laurier University and the University of Waterloo. The AC JumpStart program began in January 2015, with three cohorts of companies participating in the program in 2015, and two cohorts annually in subsequent years. Each cohort receives funding and mentorship over a 12-month period. Over the next four years (2015-2018) the program will support 180 companies. ENVionX Inc. moves to The Accelerator Centre (AC) to grow it's new technology division geared toward supporting outdoor activities through innovative online software and app development. AC is a world-renowned, award-winning network of facilities dedicated to developing and commercializing technology startups. The AC provides an essential combination of in-house mentorship, educational programming, facilities, networking, and access to funding and facility services, with a goal of building successful companies. Our in-depth programming, unique accountability model, and long-term view (up to three years) distinguishes us from other accelerators and incubators within the Canadian commercialization landscape.